Phnom Penh, January 30 (Xinhua): As the sun sets over the ancient city of Angkor in the deep jungle in northwestern Cambodia, a massive temple for the Hindu God Shiva, named Ta Keo, glows golden in the rays. Ta Keo was the State temple of Jayavarman V, the son of Rajendravarman who ruled this area in Cambodia around 1000 AD. Jayavarman was a Shivite but was tolerant towards Buddhism also. Abandoned around 900 years ago soon after its ornamentation started, the magnificent temple has been revived in the hands of Chinese and Cambodian archaeological experts. China-Cambodia cooperation in preservation and development of Angkor is a symbol of the longtime friendship and close cultural connection between the two countries. It also reflects the upgraded China-Association of Southeast Asian Nations (ASEAN) cooperation framework’s emphasis on promoting people-to-people exchanges. From Chausay Tevada to Ta Keo, the Chinese team has earned trust from the Cambodian people and established a good reputation for their professional expertise. “I had read quite a lot of documents and seen many pictures of Ta Keo in China, but I was still stunned by its grandeur at the first sight,” Jin said. He has devoted himself to saving the ancient temples. Jin showed the archives of those fallen parts, each with its ID file including picture and dimensions, in the office of the China-Cambodia Government Team for Safeguarding Angkor in Cambodia’s Authority for the Protection and Management of Angkor and the Region of Siem Reap. “Every stone is unique. If one stone is in the wrong position, the gap will grow wider as you restore the structure layer by layer and an accurate restoration will be impossible,” said Jin. 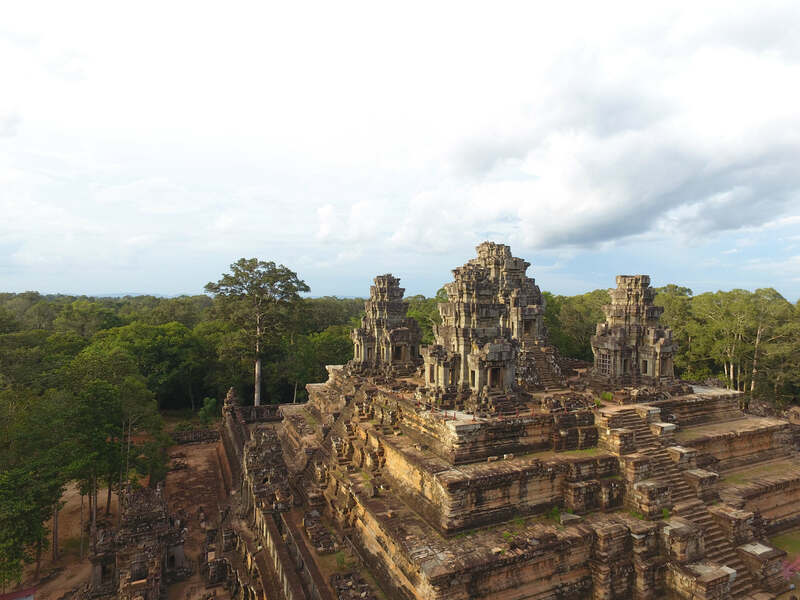 To better understand the temple’s structure and precisely restore it, the Chinese team applied the most advanced technologies, including 3D laser scanning and mapping, structural research and drone recording, to build a complete digital model of Ta Keo. China has been a key partner in helping renovate and preserve Cambodia’s cultural heritage, Cambodian Minister of Culture and Fine Arts Phoeurng Sackona told Xinhua. 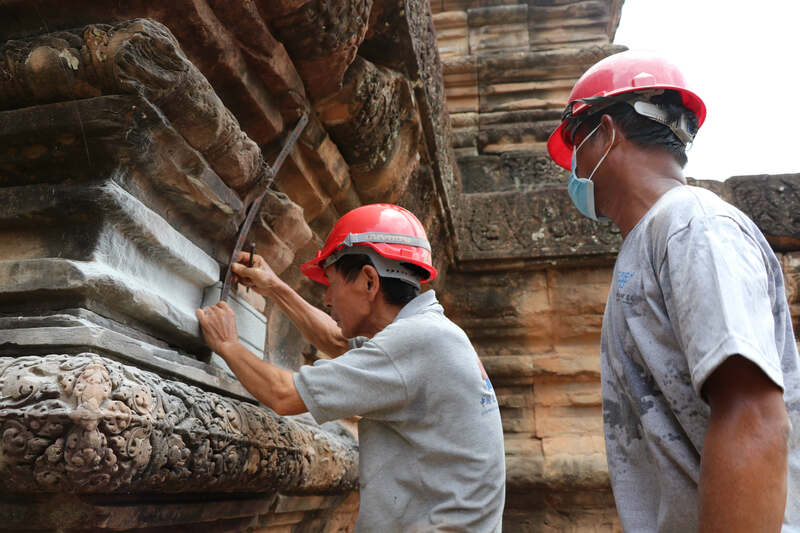 “I highly value and thank the Chinese government for supporting Cambodia in preserving our national heritage,” Sackona said, adding that China’s assistance has not only protected ancient temples, but also helped train Cambodian archaeologists on renovation and preservation tasks. 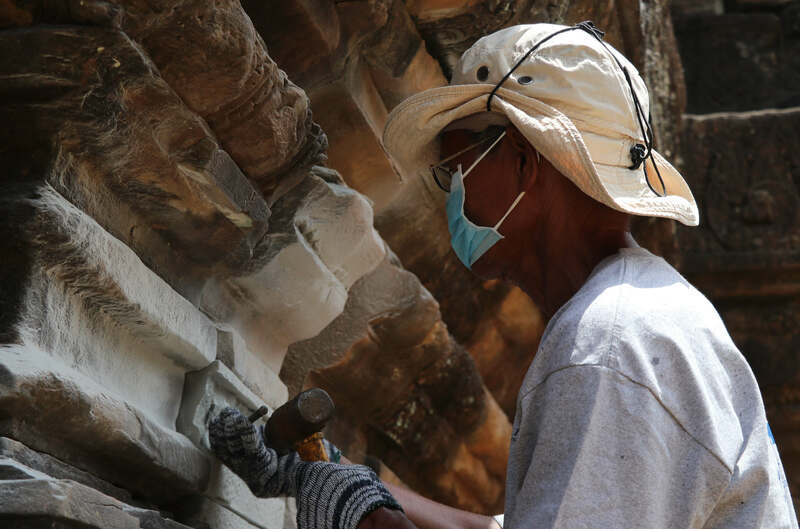 “When we worked here, both sides — Chinese and Cambodian teams — worked together smoothly, got on well with each other like brothers,” said Nuth Poeng, leader of the Cambodian technician team in the Ta Keo project, sitting on a stone stair of the Ta Keo temple. As the third phase of China’s aid to Cambodia in the protection and restoration of Angkor, the Royal Palace project is expected to last for 11 years. 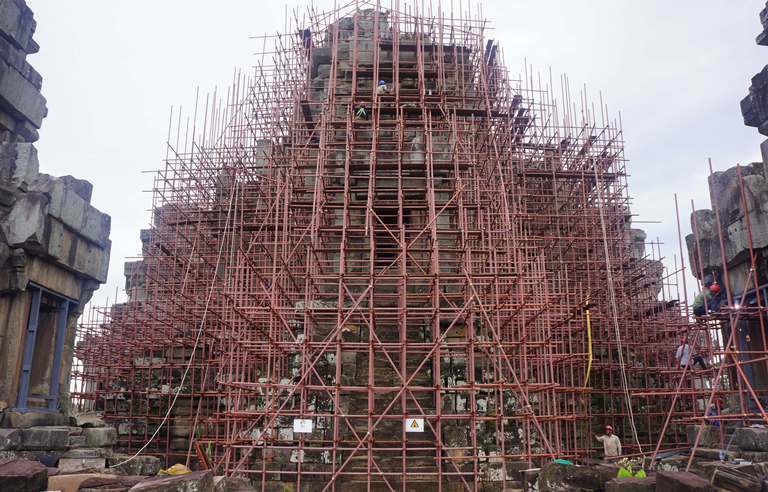 “We’re confident in the abilities of the Chinese experts, and through these projects, we hope that Cambodian experts will be capable enough of renovating temples by themselves in the future,” said Minister Sackona.